On November 9-10, a major EU sponsored conference held in collaboration with the Regional Council of Lapland focused on development of the Arctic region as a European region. Jukka Teräs, Senior Research Fellow at Nordregio contributed to a joint workshop focusing on smart specialisation. Northernmost Europe is playing an important role in the development of the European Union. With its vast deposits of natural resources and pristine yet fragile nature, the European Arctic offers multiple opportunities for European wide cooperation. In the Arctic sparsely populated regions, there is a solid foundation for innovation and entrepreneurship built on thriving industrial development and advanced cluster collaboration. Through active implementation of smart specialization, the wide interregional cooperation across Europe is being established. During the conference “Discovering the Arctic future – as a part of Europe”, which took place on 9-10 November, in Rovaniemi, Finland, more than two hundred Europeans discussed about future of the continent, regional development, Smart Specialization, Arctic opportunities and interregional cooperation. 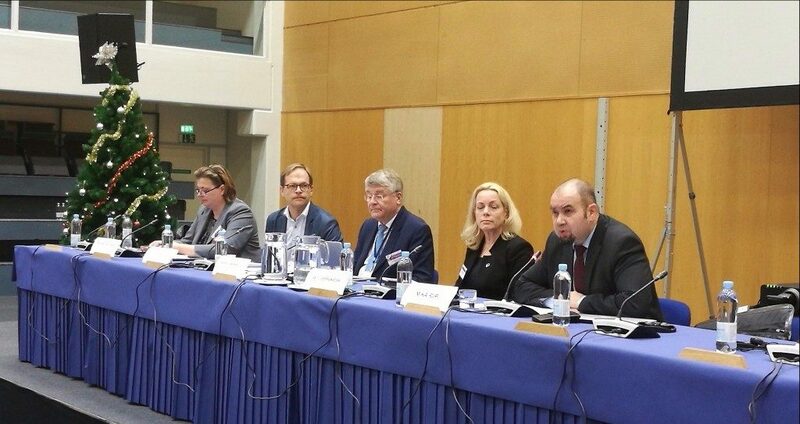 Nordregio contributed to a joint workshop with Economic Council Members of the European Union Committee of the Regions, the Northern Sparsely Populated Areas (NSPA) Network and the Organisation for Economic Co-operation and Development (OECD). The Workshop focused on NSPA experiences in regional development and OECD policy recommendations for the region. Senior Research Fellow Jukka Teräs gave a presentation “Nordregio, smart specialization from a research point of view and comments on OECD study”. At the Workshop, concrete lessons were drawn to advise the future of the EU regional policy and Smart Specialization agenda. The conference was organised by the Regional Council of Lapland, in cooperation with Committee of the Regions, Northern Sparsely Populated Areas Network and S3 Platforms.